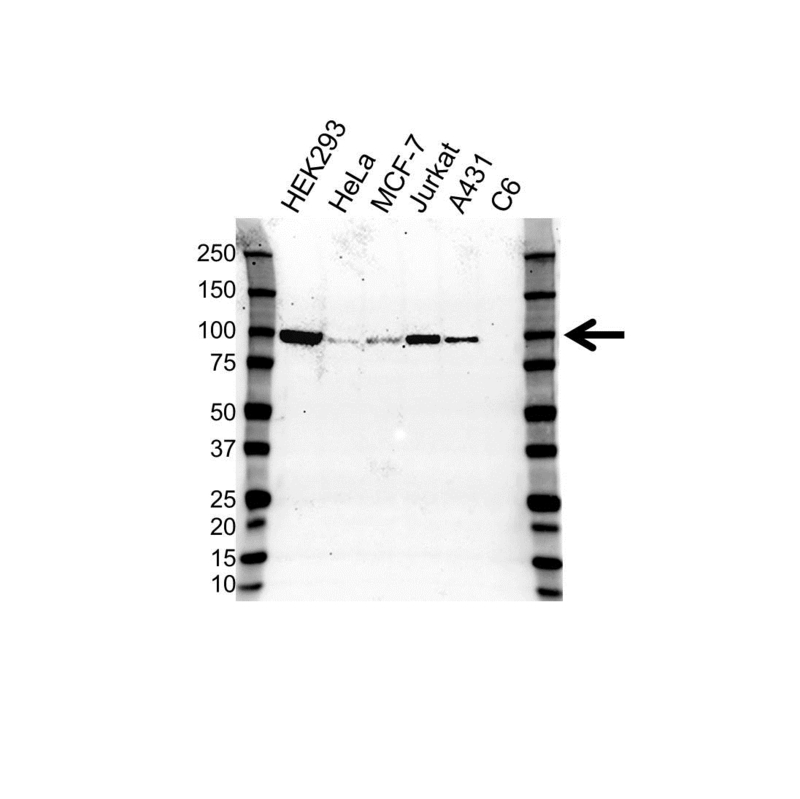 Mouse anti human RALBP1 antibody recognizes RalA-binding protein 1, also known as 76 kDa Ral-interacting protein, RLIP1, RLIP76, DNP-SG ATPase, dinitrophenyl S-glutathione ATPase or RIP1. This antibody has been extensively validated for western blotting using whole cell lysates. Mouse anti Human RALBP1 antibody recognizes RALBP1, also known as 76 kDa Ral-interacting protein, RLIP1, RLIP76, DNP-SG ATPase, dinitrophenyl S-glutathione ATPase, ral-interacting protein 1 and RIP1. RALBP1 plays a role in receptor-mediated endocytosis and is a downstream effector of the small GTP-binding protein RAL (see RALA; MIM 179550). Small G proteins, such as RAL, have GDP-bound inactive and GTP-bound active forms, which shift from the inactive to the active state through the action of RALGDS (MIM 601619), which in turn is activated by RAS (see HRAS; MIM 190020, summary by Feig, 2003, PubMed 12888294, OMIM, Nov 2010). Mouse anti Human RALBP1 antibody detects a band of 95 kDa. The antibody has been extensively validated for western blotting using whole cell lysates.